Early one morning we left Bagni di Lucca for a one day visit to the Cinque Terre. 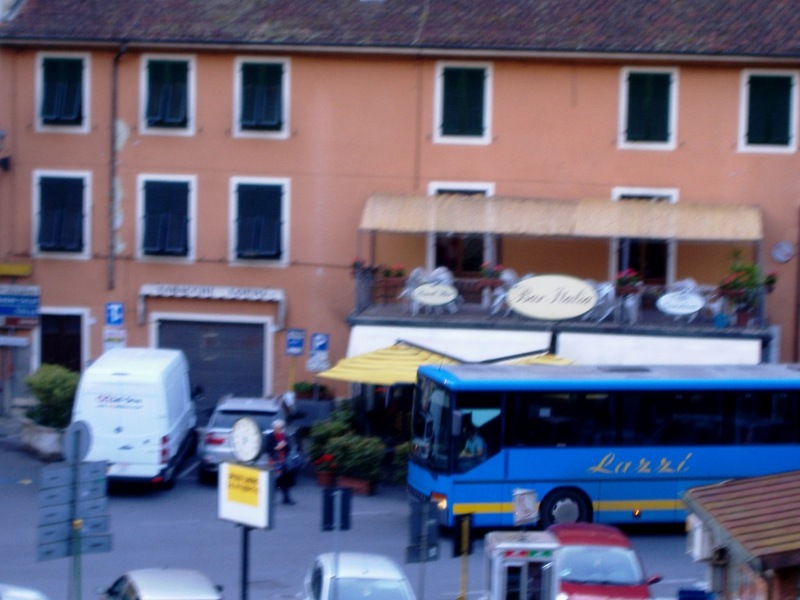 We took the 7.50 bus from our little village Ponte a Serraglio to Lucca, which took about 50 minutes. 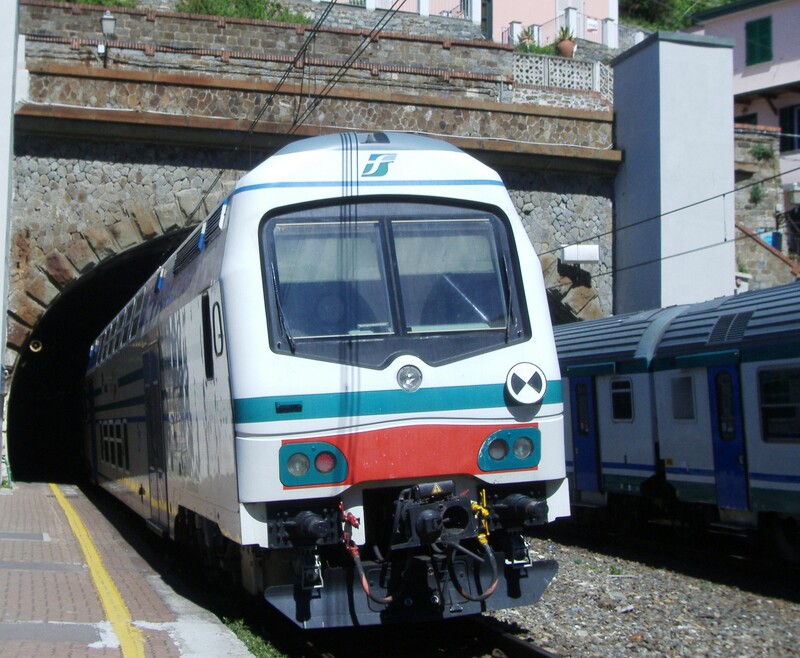 Then from the main train station in Lucca we caught the train to Pisa Centrale where we then changed trains and took the train to La Spezia Centrale. 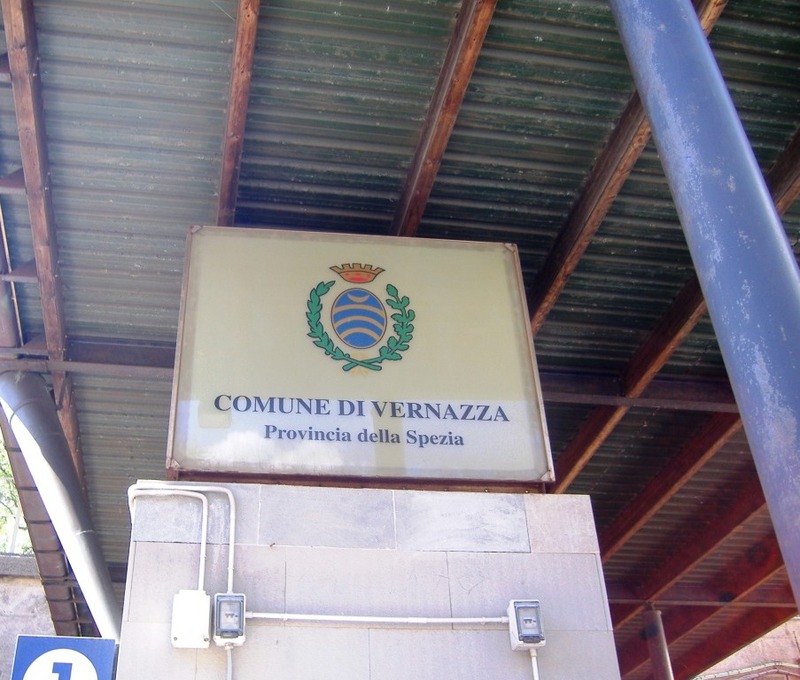 This entire trip took about 2 ½ hours and we arrived at La Spezia train station at 10.30. 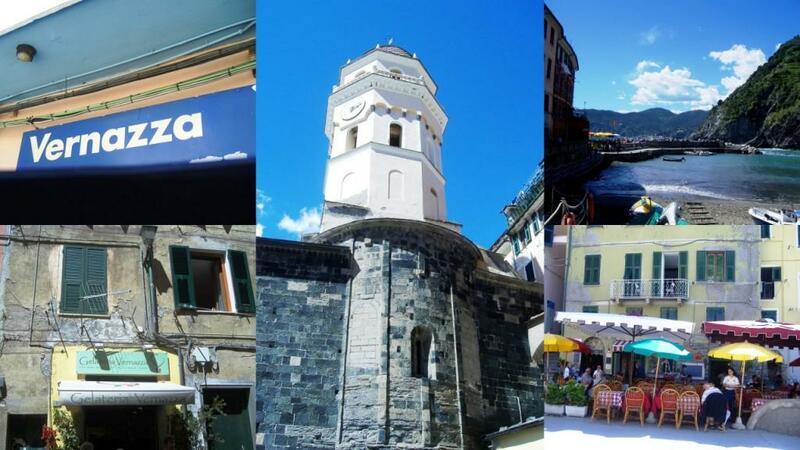 We went directly to the Cinque Terre information office at the entrance to the train station where we asked questions and bought our all day train tickets for the 5 villages which cost 12 euro each. 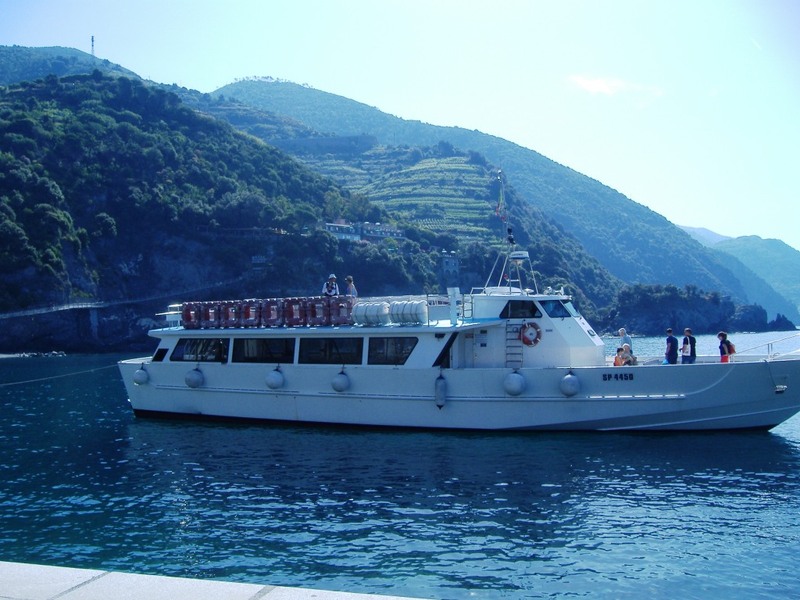 We had planned to take the ferry-boat from La Spezia up to Monterosso but due to rough seas this particular boat was not running. With our all-day train passes we were able to take the trains as it suited us. 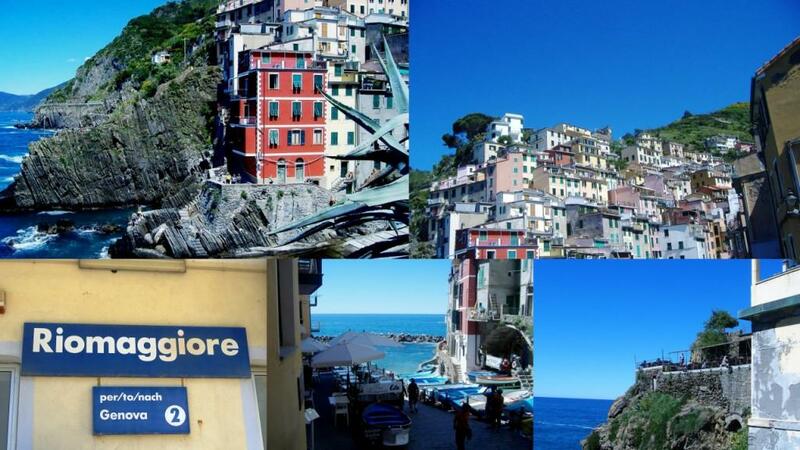 We travelled to the first village, Riomaggiore, where we had coffee and explored. 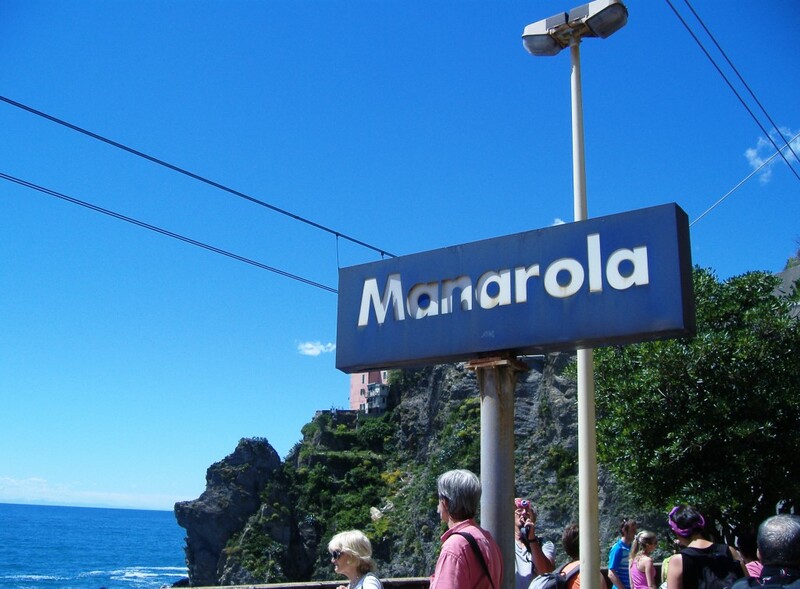 From Riomaggiore we took the train to Manarola where we stopped for lunch at a restaurant down close to the water, Marina Piccola. 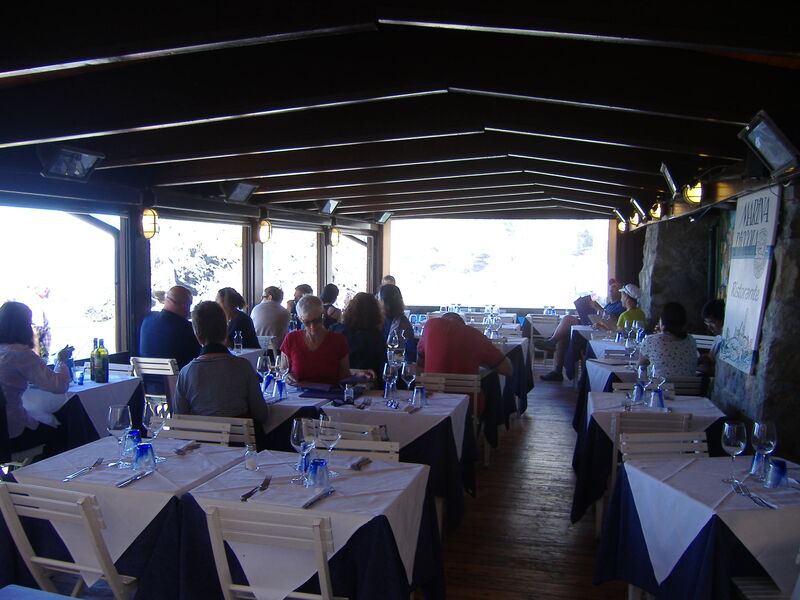 I had the fried anchovies and fried potatoes with mixed salad. This was definitely the best anchovies I have ever eaten. 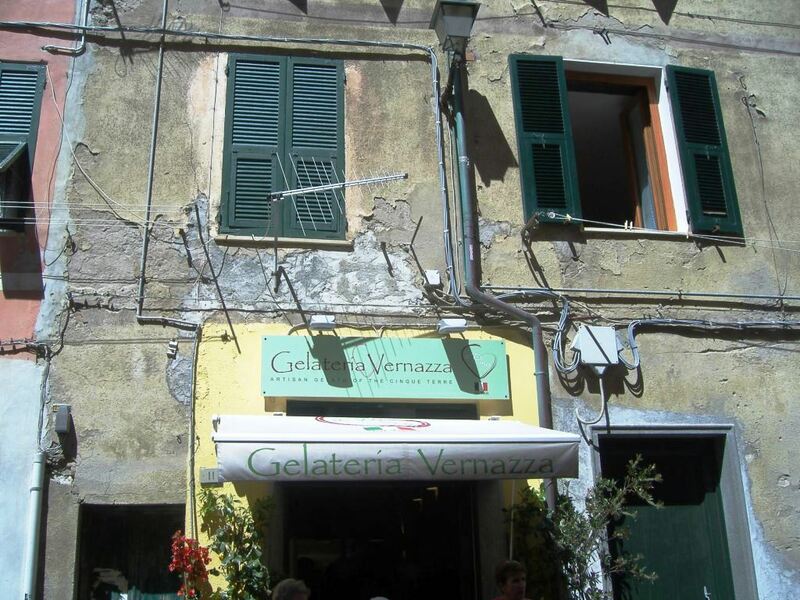 After this delicious lunch we headed off on the train once again to Vernazza where we enjoyed gelati. 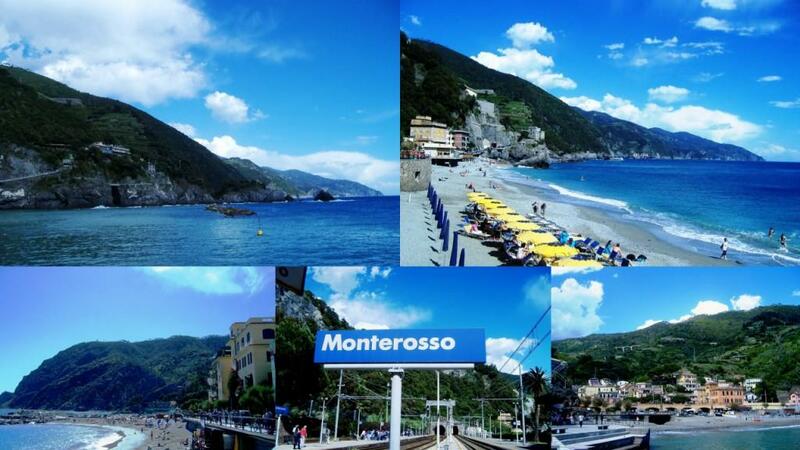 We had a quick look around Vernazza and then back on to the train to the furthest village, Monterosso. 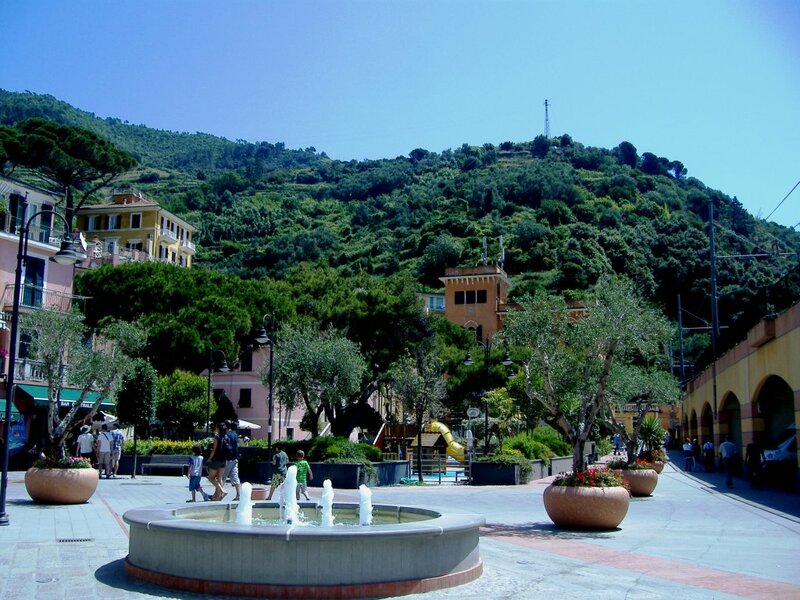 We chose to skip Corniglia as there are several hundred steps up to this village. 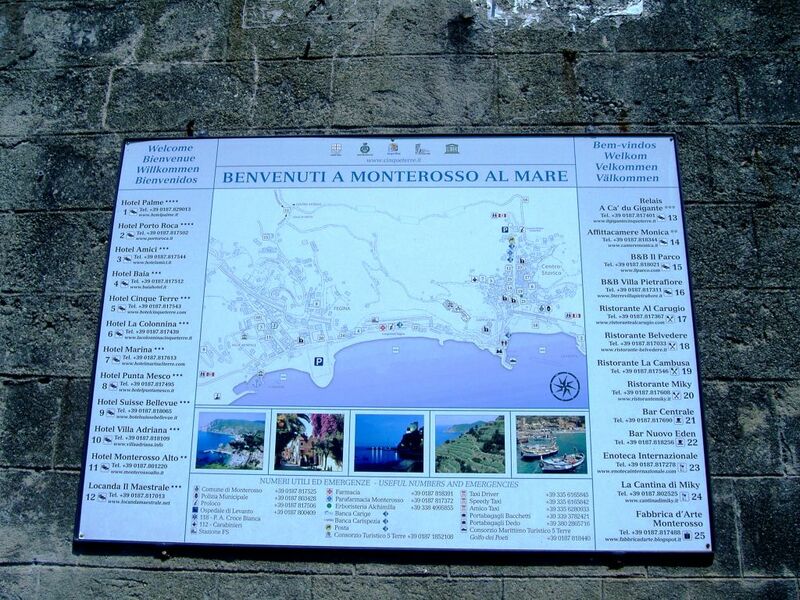 From Monterosso we planned to take the boat back to Portovenere which was running however we were late getting to it and without tickets we could not get on. 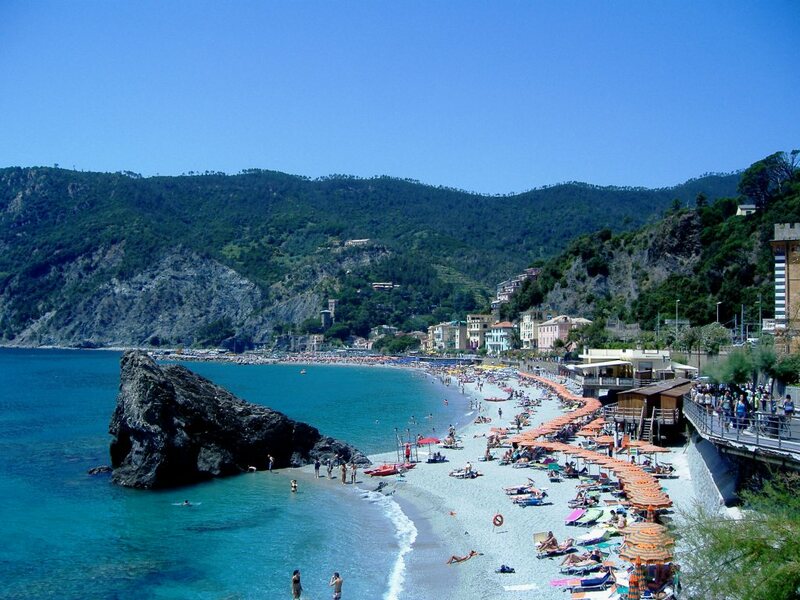 Then after a fabulous 6 hours at the Cinque Terre it was time to head back home to Bagni di Lucca. 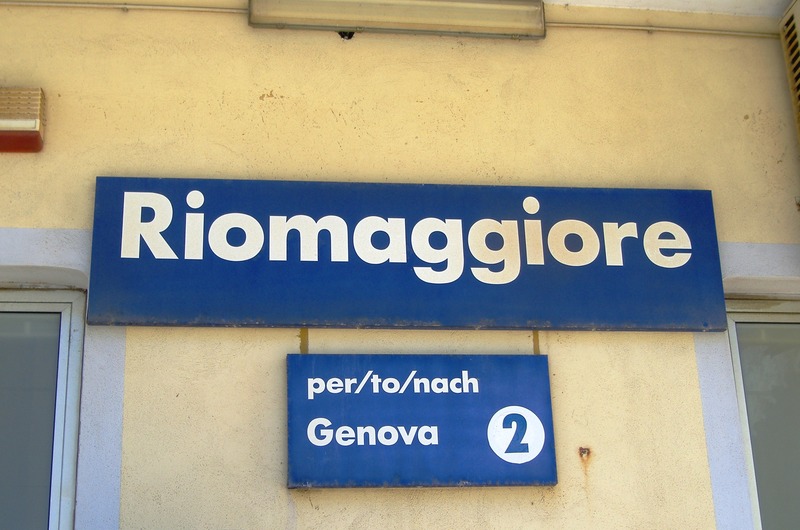 We took the train from La Spezia back to Pisa Centrale. 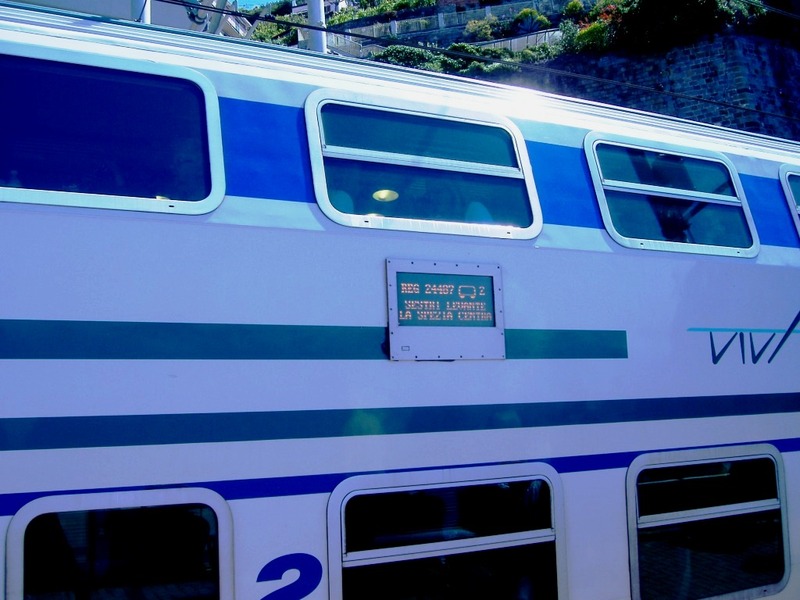 While we were sitting on our train and waiting for it to depart we learned that our train had been delayed severely so of course we were very late arriving in Lucca. This meant that we missed the last bus back to Bagni di Lucca. Fortunately there were taxis so we were able to take a taxi back. As you can imagine this was a whistle-stop visit to these villages but it was fun and it worked. We also knew that we must return and spend longer. 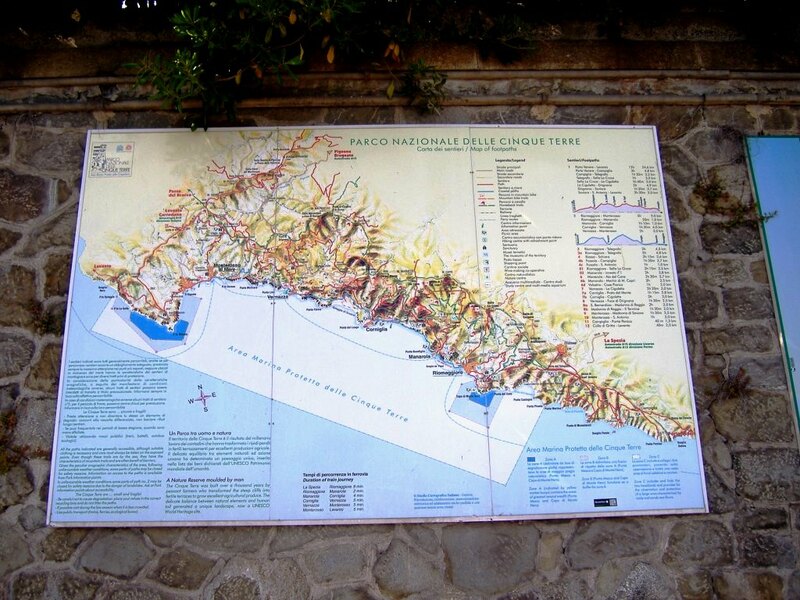 After 4 weeks in Bagni di Lucca we learned so much including how to do this one day trip to Cinque Terre more easily. 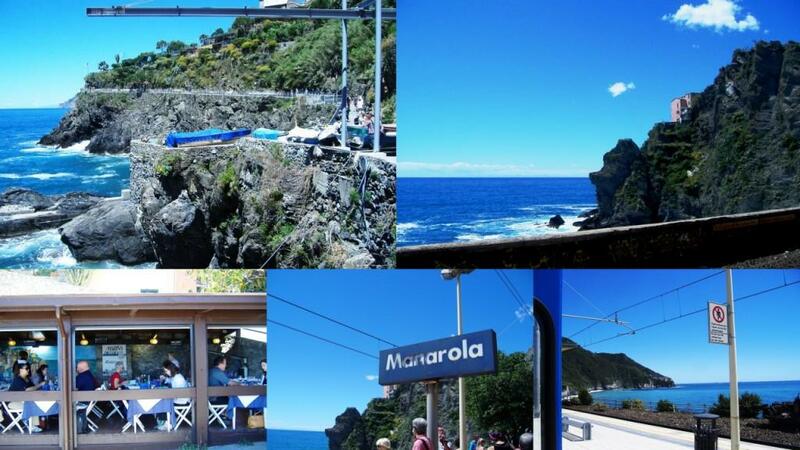 I love train rides – beautiful scenery – absolutely wonderful pictures and description.